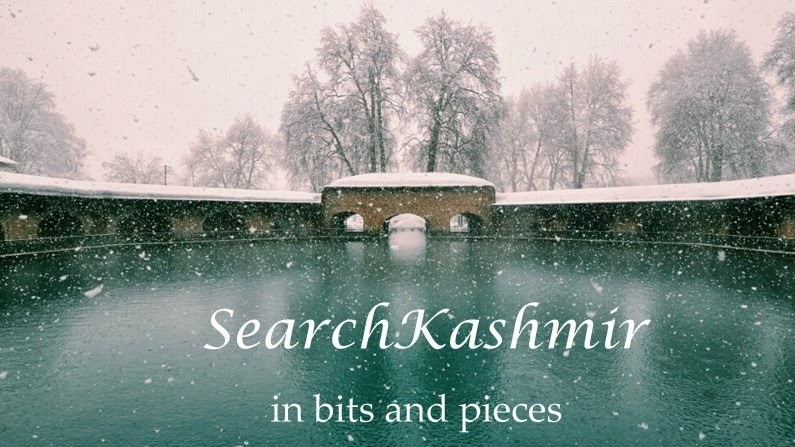 A product of EarthyGoods, this mango chutney with the catch line 'a traditional Kashmiri recipe in memory of Saraswati Mushran' presents an intriguing mystery. A Kashmiri recipe for Mango chutney! This was in fact a German product marketed as "Kashmiri"
Nandita Haskar discusses this post in a passage from here book The Flavours of Nationalism (2018). Saraswati Mushran was my father's older sister. 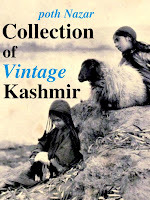 She taught Linnet, her English daughter-in-law, the art of Kashmiri cooking. Many years later Saraswati Mushran died, Linnet bought my father's apple orchard in Himachal and started making jams, just the way her German mother, Katherine, had taught her. 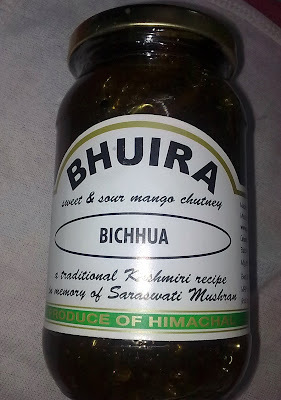 The jams are famous as Bhuira jams - Bhuira is the name of the village in Himachal Pradesh where the orchard is situated."